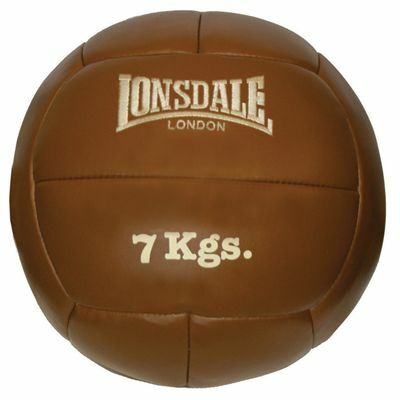 The Lonsdale authentic leather medicine ball 7kg is made from extremely durable authentic leather. Additionally, its top quality 12-panel construction ensures great shape retention. 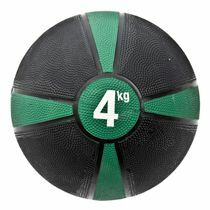 The ball weighs 7kg (15.4lbs) and is ideal for users with different skills who want to develop sport-specific power and build core strength through abdominal exercises. Exercising with the medicine ball provides users with more balance, flexibility and coordination. It is perfect for exercises such as reverse curls, single leg v-ups, Russian twists, slams and figure of eights. for submitting product review about Lonsdale Authentic Leather Medicine Ball 7kg.